provides Radon Testing with professional equipment. Radon is an invisible, radioactive gas (you cannot see or smell it) that can be dangerous if there are high levels of it in your home. Radon is present in almost all air, but areas of poor soil ventilation can cause higher levels of radon that can increase your risk for lung cancer, second to cigarette smoking. 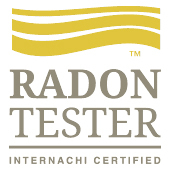 With radon testing equipment, we can determine if your home has elevated radon levels. Radon can enter a home from the soil through cracks in floors/walls, or gaps in foundations around pipes/pumps. Usually, radon levels are higher indoors (the gas gets trapped inside), and in basements (because they are closer to the soil). Our radon testing equipment measures the amount of radon entering the house for 48 hours, based on how well the soil is ventilated. This varies from home to home. What happens if there is a high level of Radon in my home? If your home has a radon level at or above 4 pci/L, the U.S. Environmental Protection Agency (EPA) recommends taking steps towards reducing the radon level through radon mitigation. There are multiple methods that can be used to reduce radon levels - sealing cracks in floors/walls, adding a ventilation system with pipes and fans, etc. If our equipment finds high levels of radon, sometimes caulking and sealing is enough to reduce the radon level. 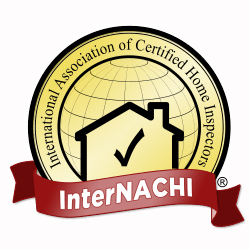 However, we recommend conducting follow-up measurements and hiring an individual certified by the National Radon Proficiency Program or the National Radon Safety Board. A radon test costs $125 if you book at the same time as your home inspection, or $200 if you book without an inspection. After we install the equipment, radon testing takes 48 hours to complete. Instant results and report will be sent to you after the testing is complete. The information above was taken from the state of Michigan Department of Environmental Quality. They have a helpful Radon FAQ that you can find here for more information.